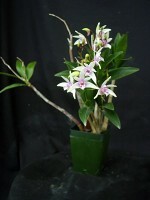 Year after year, this plant is among the earliest of the Australian Dendrobiums to bloom. Each creamy-white flower has a mauve-pink blush at the center, and the bright white lip is colorfully marked with vibrant yellow and purple. 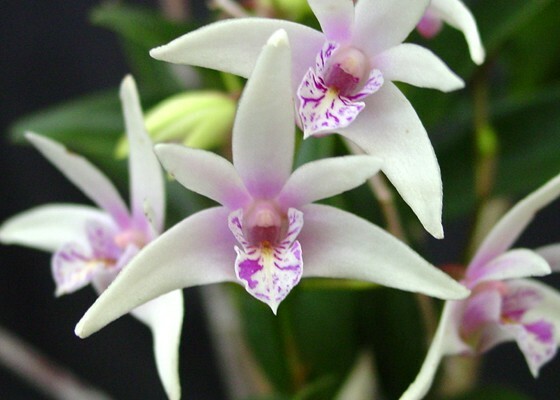 The flowering habit of this compact plant produces sprays of several flowers on erect to arching stems. .Temperature Tolerant. December blooming.